Are you caught in a black hole of debt that’s dragging you deeper and deeper into its abyss with no end in sight? If so, you’re not alone: in the United States the average family carries over $15,000 in credit card debt alone. And people in the United Kingdom aren’t fairing much better. According to the Telegraph, families in the UK are burdened by almost £8,000 in total debt, including loans and credit cards. We’re going to discuss some empowering ways that you can take control of your debt situation and how to go about finding professional debt management. If you carry more than £1,000 of debt it may make sense to seek out the help of a professional debt management company. These professionals can help you make sense of your complex situation and sometimes consolidate your debt into one monthly payment. However, if your total debt amount exceed £15,000 then an IVA may be much more suited to your circumstances. One advantage of dealing with debt management professionals is that they have unique relationships with lenders. They can leverage these relationships to decrease interest rates and add more flexibility to your payment schedule. They can also sometimes pause your payments for a while to give you some much-needed breathing room. In general, most people that try out a debt management company report that the experience was overwhelmingly positive. Having to deal with debt in the thousands on your own or with a spouse can be emotionally and financially difficult. A debt manager is someone that’s in your corner and will fight to make your life easier. By completing the enquiry form we can forward your details to a reputable and licensed professional so that you can arrange a free consultation to discuss your options. You have nothing to lose by getting a second pair of expert eyes to look over your debt situation. You only have to pay one instalment each month, and the debt management company then distribute that amongst your creditors. Sometimes your creditors can agree to temporarily freeze your interest so that the balance you owe doesn’t increase during the term of the debt management plan. You only have to pay what you can afford. You can have peace of mind knowing that you have a team of fully qualified and specialised debt advisors negotiating with your creditors on your behalf. A debt management plan is not a legal contract between you and your creditors, unlike an IVA or bankruptcy, and so your creditors are within their rights to continue to contact you. The smaller your monthly contributions, the longer it will take to pay off the debt. DMPs are most effective for debt amounts of £12,000 or less. Anything more than that could be better suited in an IVA or bankruptcy order. Is a debt management plan a loan? A debt management plan is not a loan and it doesn’t increase your credit limit. It is really just an organised system for you to be able to pay off your debts with just one monthly installment. The length of time a debt management plan takes to complete can vary from one person to the next. It is completely dependent upon the amount of debt that you have, and the amount that you can contribute on a monthly basis. How do I make my debt management plan payments? This can be discussed directly with your Debt Advisor, but usually payments can be made by Standing Order or debit card. Can I stop a Debt management plan whenever I want? You are not legally obliged to continue with a debt management plan, and if you feel that you would like to stop at any point all you need to do is to let the debt management company know, and stop making payments to them. Who informs my creditors of my debt management plan? The debt management company will contact all of your creditors for you. 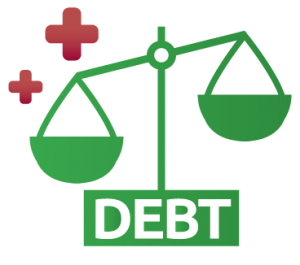 All you need to do is to contact a debt advisor for an initial consultation, work out what is owed to each creditor, agree upon what you can afford, and after that it’s just a case of maintaining the reasonable monthly repayments that you’ve arranged. Will my creditors agree to a debt management plan? It does not matter if your creditors agree or not, but if the choice for them is to either not receive any money, or to receive a lesser amount, they will no doubt be more pleased with a lesser amount. As the debt management plan is not a legal contract your creditors aren’t ever asked if they agree. Is my credit rating affected by starting a debt management plan? A debt management plan does not show up on you credit file, but if you are currently considering a debt management plan the chances are that your credit file has already been adversely affected by the amount of debt you have. As individuals typically pay lower amounts than what their creditors are requesting, not making full payments will affect your credit file, however, a debt management plan gives you an opportunity to effectively manage and repay all of your debt, so you can be on the road to repairing your credit score much quicker. Will creditors continue to contact me during a debt management plan? Your creditors can continue to contact you if they wish, and they will probably contact you to persuade you into making larger payments. Your debt advisor can instruct on how to best handle these types of calls, and the debt management company contact all of your creditors requesting that they contact them instead of you. Could my partner find out about my debt management plan? The debt management plan service is completely confidential, and the only people that will know about it from the offset are you, the debt management company and your creditors. You can rely upon a professional debt management company for complete discretion. Will I have to live on a tight budget during the debt management plan? No. In fact, the great benefits of a debt management plan are that you choose what you can afford to pay. Without a debt management plan you are much more likely to be living on a tight budget (if you’re making every payment). Can my creditors issue me with a County Court Judgement? Legally your creditors can issue a CCJ, but it is unlikely as whatever the courts were to decide you should pay towards the debt will likely be a very similar amount to what you’re already paying them. Will I get a default notice? It’s possible that you could receive default notices during your debt management plan. This is not because of the debt management plan itself, but due to the fact that if you’re paying less than the amount you originally agreed upon with the creditor, then you are defaulting on the agreement (even though you are making some payments). Can I enter into a debt management plan if I already have a CCJ? A CCJ does not stop you from entering into a debt management plan, and if you already have a CCJ, it’s clear that you’re struggling with debt, and one could argue that entering into a debt management plan is actually a very positive step to take towards freeing yourself of debt, especially if you’ve been given a CCJ. Can I continue to use credit during my debt management plan? There’s nothing stopping you from using credit, but you will likely be advised that using credit whilst you’re trying to repay other outstanding credit balances is not the smartest way to become debt-free. Will interest and charges be frozen during my debt management plan? They could be, but that isn’t guaranteed. It depends on your individual circumstances and will need to be discussed with your debt advisor. What happens to secured debt during a debt management plan? A debt management plan only affects unsecured debt, and any secured debts you have will be unaffected by the debt management plan. The repayments you make into the debt management plan also take into account the secured payment obligations that you have, so a debt management plan will not compromise secured debts in order to pay off unsecured debts. Is my home at risk if I start a debt management plan? As long as you can continue to make the payments on your house (which is a secured debt and not included in a debt management plan), then there is no reason why your home is at risk. How will I know my creditors are being paid during my debt management plan? Generally speaking a debt management company regularly sends you a breakdown of who has been paid, and what amounts have been paid. You debt advisor will have more information on this. Get Organized: It may be boring and time consuming at first, but proper organisation will save you time and money in the long-run. The first step to getting organised is to get a comprehensive list of your outstanding debts. And the best way to do that is to request a credit report. Many people find that there are debts on the report that they completely forgot about (unfortunately, whoever you owe the debt to certainly hasn’t!). Once you have that list it’s time to put it into some semblance of importance. Depending on your preferences and debt situation you’ll go about this step differently. Some people put their largest debt right at the top. Others put their smallest. Some put the debt with the largest interest rate as their #1 priority. It’s your debt and your decision about how you want to tackle it. Start Paying Today: Many people with massive amounts of debt also have thousands of dollars collecting dust in their savings and checking accounts. The interest you receive from bank accounts pale in comparison to the interest you’re paying on your debts. So take any extra money you have and apply it to your debt right away. Save (and Earn) More: One of the most oft-repeated piece of debt management advice out there is to start saving…and use the savings to pay off what you owe. While this is sage advice, it doesn’t discuss the other end of the equation: making more. If you’re already living frugally, it can be significantly harder to cut costs by 10% than to earn 10% more. Whether you have to take a part-time job or start a side-business online, try to up your earnings as this is the fastest way to pay off your debt.